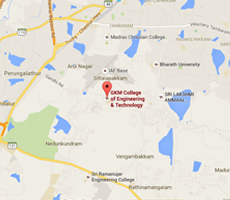 GKMCET offers comprehensive hostel facilities within the college campus which provides a homely atmosphere. The college has separate magnificent hostel for boys and girls with hostel warden in each hostel to supervise day to day management. The College makes the best possible efforts to provide the best of services and facilities within the hostels. To make the stay of the students a pleasant one they are constantly involved by organizing various events, activities and celebrations within the hostels. An health centre has been setup for the instant service of the students. Doctor visits everyday and attend the needy in the campus. A separate vehicle is available to take the sick to the hospitals outside in case of emergency. United Bank of India ATM facility is available within the college premises for the benefit of students & staff members. It is also beneficial for the people who are residing in the nearby areas.